See how you can easily create and edit a regular expression with RegexBuddy's regex building blocks. Let RegexBuddy deal with the arcane details of the regex syntax. The regex built in the video matches an email address. Any email address, that is. 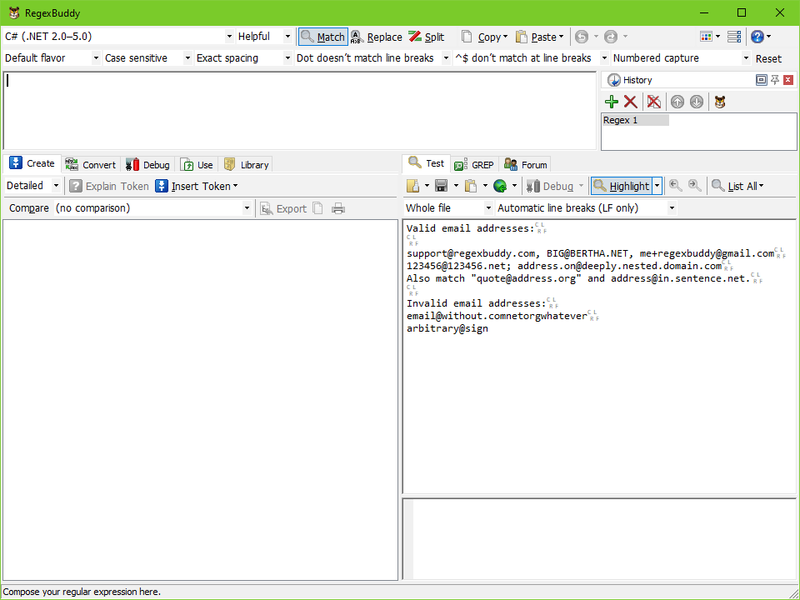 Test and debug a regular expression (1'40"): see how you can interactively test and debug a regular expression in RegexBuddy's safe regex tester sandbox. Avoid nasty surprises on live data. Develop software with regular expressions (1'35"): see how you can effortlessly write efficient software with RegexBuddy's handy source code snippets. Tight integration with your favorite software (1'54): see how RegexBuddy conveniently integrates with PowerGREP. The same tight integration can be added to any other application.